A durable, well-built sunroom can provide extra square footage for your home as well as bringing the outside in no matter the season. Global Solariums sunrooms are constructed with thermally-broken aluminum frames and double sealed, dual pane insulated glass to keep your sunroom comfortable any time of year. What you do with this climate-controlled space is up to you, but here are a few sunroom ideas to think about. Instead of using a den tucked away in the back of the house, the kitchen, or even part of your bedroom, putting a home office in a sunroom has plenty of positives. 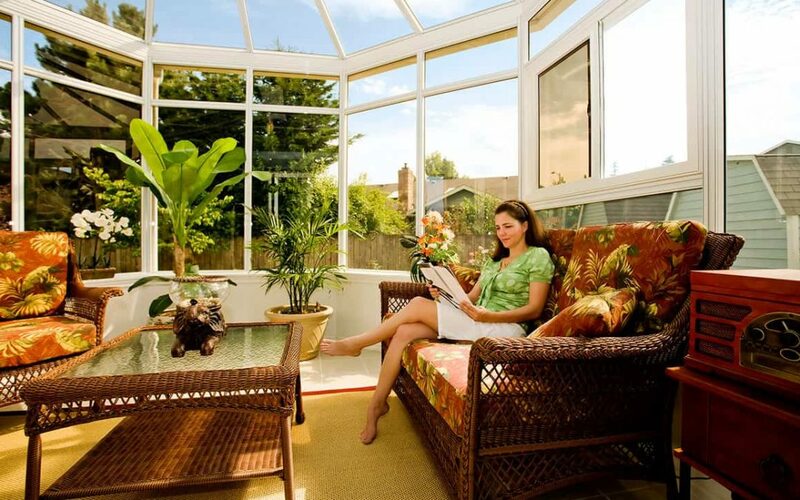 Not only will Global Solariums sunroom provide plenty of natural light, it can also serve as a way of leaving the home behind for a few hours a day. With the right kind of desk, chair, and storage unit, the office can be put away for the day and the sunroom becomes a place of leisure. We’re not sure how it happens, but toys seem to multiply almost by themselves. A sunroom provides the perfect place to provide storage for toys and games, and allows children to play, laugh, and be loud without disturbing the rest of the house. With easy access to the backyard, the kids can come and go as they please, leaving the rest of the home untouched. With properly placed shelving units, your sunroom can act as a butler’s pantry for your favorite herbs. You’ll be able to snip chives, cilantro, basil, and whatever else makes sense for your recipes. 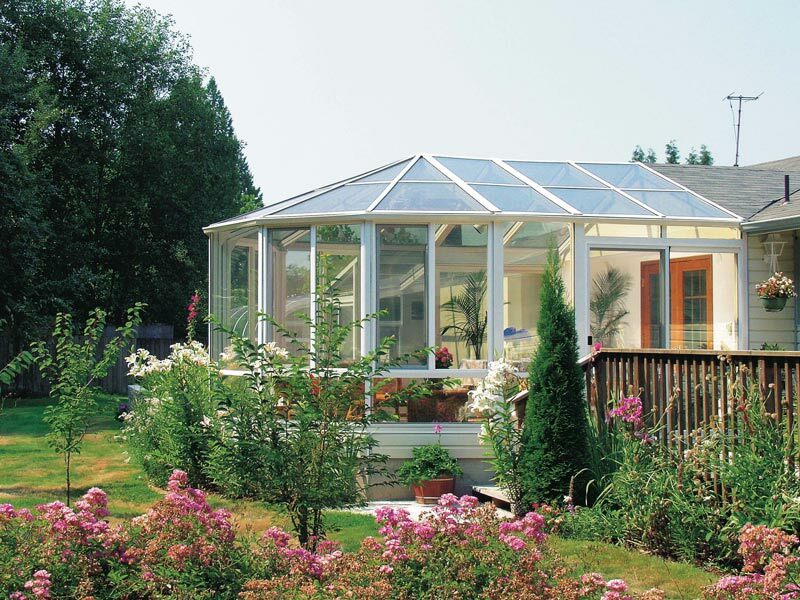 Global Solariums sunrooms are built to be comfortable year round, meaning your herb garden can grow year round, without worry of frost, snow, and other harsh conditions. If positioned correctly, a sunroom can act as an extension of your kitchen. It can be used as a breakfast nook in the morning, a relaxing place to have your morning coffee, or a large dining area perfect for entertaining or holiday dinners. Soaking in a hot tub is a great way to relieve stress at the end of the day – right up until a bug lands on your nose. With a Global Solariums sunroom, your hot tub can be fully encased, but still allow you to watch the sun set, look at the stars at night, or enjoy a morning soak. There will also be no more running to the house through wind, rain, or snow during the cooler seasons. We’ve mentioned before how a sunroom can be an extension of the kitchen, but true grillmasters like to do their cooking outside. That’s fine during the warmer months, not so much when it’s 30 degrees and windy outside. A sunroom is a perfect solution: grilling up steaks, salmon, burgers, and dogs no matter what the weather is doing. A small fridge and storage area give the cook everything they need at their fingertips. A sunroom would be a perfect fit for a craft or hobby room. Painters will get all the natural light they need throughout the day while other art enthusiasts can gain inspiration from the outside world. While most of these suggestions are imagined at the back or side of the house, a sunroom that doubles as a front porch is another option. Watch neighborhood kids play during the summer and keep dirty shoes, umbrellas, and rain wear out of sight (and out of the house) during the rainier months. 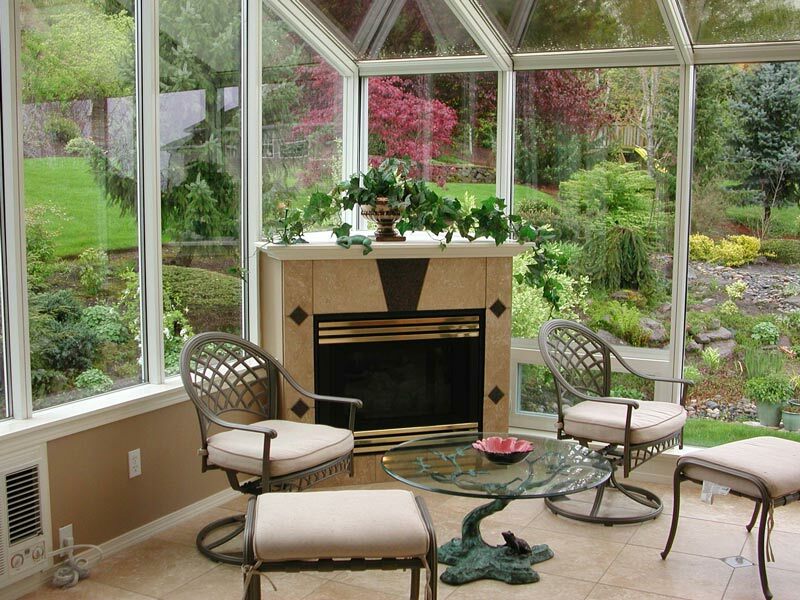 And, no matter the weather, the sunroom will be perfect the temperature all year round. Straight Eave Sunrooms are one of our most popular designs available, able to fit any area of your home’s exterior. These rooms offer the clean, simple look of straight lines, but are still customizable and can adapt to any architecture. We offer three types of frames and several colors, and our sunrooms are constructed with extruded aluminum and dual-paned, tempered safety glass. Not only do our sunrooms look good, they’re built to last, too. Also known as Georgian conservatories, a Cathedral Roof design dates to the eighteenth century and is characterized by straight lines, large windows, and variable roof pitches. Originally used to house exotic fruits, modern technology allows us to use the same design features for true four-season living. These conservatories are great for large dining rooms, entertainment spaces, or as a library or den. Ideal for an artist, these sunrooms offer a painter natural light and changing shadows all throughout the day. Have writer’s block? Looking out to the world – no matter if it’s sunny, windy, rainy, or cloudy – may provide just the right bit of inspiration. A studio sunroom is also great for starting the morning with a cup of coffee and the morning newspaper or curling up with a good book in the evening. The curved roof maximizes viewing and our continuous-beam design allows for a smooth transition from the roof to the front wall. Swimming pools are such an asset in the summer, but are rarely given a second thought in the winter. With a Global Solarium pool enclosure, your family can enjoy the water all year round. With a wide variety of architectural design, we can create a pool enclosure that blends with the house or as a free-standing building. With the durable aluminum framing, your enclosure will not only stand up to the outside elements, but inside water condensation as well.